Ocean City, NJ will host a block party on Saturday, Oct. 7, to celebrate the arrival of fall. Ashbury Avenue, from 5th through 14th streets, will be closed off to traffic beginning at 9 a.m.
Find more than 400 craft and food vendors on the street, plus strolling musicians. Families can shop and eat until 5 p.m. Stick around for a late-night firework show. 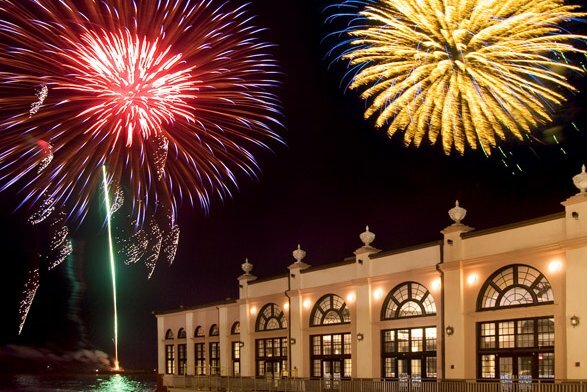 At 9 p.m. fireworks will be launched from a barge off the Ocean City Music Pier. The best place to watch the show is from the boardwalk or beach between 5th and 14th streets. The block party is part of Ocean City’s Indian Summer Weekend, which runs Oct. 7-9. On all three days, there will be seafood vendors at the Ocean City Music Pier.